Leviton Decora® 2-Gang Midway size combination wallplate in ivory color, features thermoplastic nylon construction with smooth finish. Square wallplate measures 4.94-Inch x 4.875-Inch x 0.255-Inch. 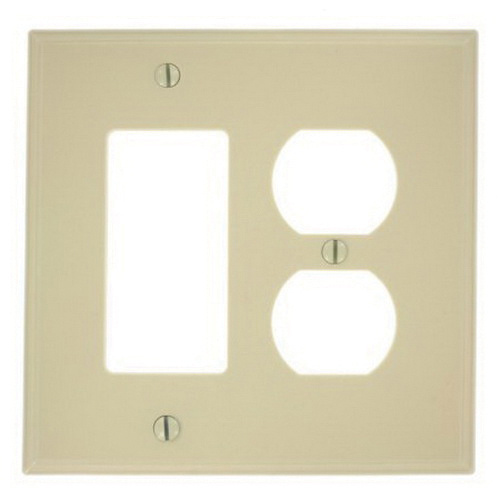 Device mountable wallplate with one duplex receptacle and one decora/GFCI configuration, has 0.406-Inch x 0.942-Inch cutout. Combination wallplate is UL listed and CSA certified.